Pointing out mistakes in the depositions recorded by the commission, Apollo hospital had said the panel needed the support of a 'medical board of calibre' to help it come to a decision. The commission’s standing counsel, M Mohammed Jafarullah Khan, objected to the hospital’s application. A panel probing former Tamil Nadu chief minister J Jayalalithaa’s death has rejected Apollo Hospitals’ plea to set up a medical board to help examine medical records related to her treatment in 2016. Citing the assistance provided by government doctors following its request to decipher the medical records, the Justice A Arumughaswamy Commission of Inquiry dismissed Apollo Hospitals’ application saying it could examine any number of doctors on their (Apollo) side. Specialists, including a cardiothoracic surgeon and a biochemist from Madras Medical College and Rajiv Gandhi Government Hospital here, scrutinised the medical records of Apollo Hospitals on the late leader’s treatment, the commission said. It added that even if a panel of doctors is appointed, its opinion has to be weighed with the evidence of the doctors already recorded by the commission. “This application is highly belated…it is an attempt by the Apollo Hospitals to scrap the evidence already recorded by the commission..that is the reason the applicant has come forward with this application at the last stage of evidence,” the commission of inquiry said. The commission’s standing counsel, M Mohammed Jafarullah Khan, objected to the hospital’s application saying it was “intended to stall” proceedings of the commission which had almost reached the final stage. He said the commission alone can evaluate the “medical evidence and medical records” to see whether proper treatment was provided to Jayalalithaa. “Medical board cannot be constituted to play a supervisory role,” Khan said. 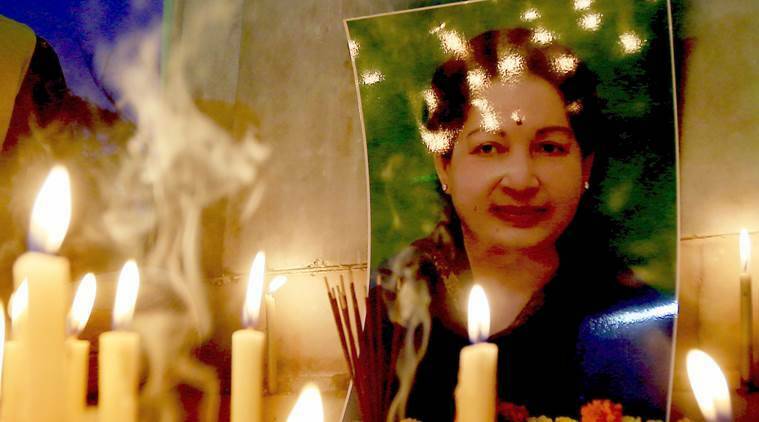 The Apollo Hospitals here had petitioned the commission in December 2018 to rope in 21 specialists and set up a medical board to examine the voluminous medical records related to the 75-day hospitalisation of Jayalalithaa. Pointing out mistakes in the depositions recorded by the commission, the hospital had said the panel needed the support of a “medical board of calibre” to help it come to a decision. The bloopers included “enterococcus”, a bacteria, getting into the commission’s records as “endocarditis”, which is inflammation of the endocardium and heart valves. To an objection that the appointment of a panel of government doctors had not been disclosed, the commission said no sanction was needed from anyone “for mere inspection of Apollo medical records by government doctors”. On a plea of the commission’s standing counsel to implead Health Secretary J Radhakrishnan and former Chief Secretary Rama Mohana Rao as respondents, the panel said the question did not arise as it had in the first place not decided anything vis-a-vis Apollo Hospitals and V K Sasikala — the present respondents. Jayalalithaa died on December 5, 2016 and the commission was constituted the next year by her AIADMK government following allegations and suspicions surrounding her death.